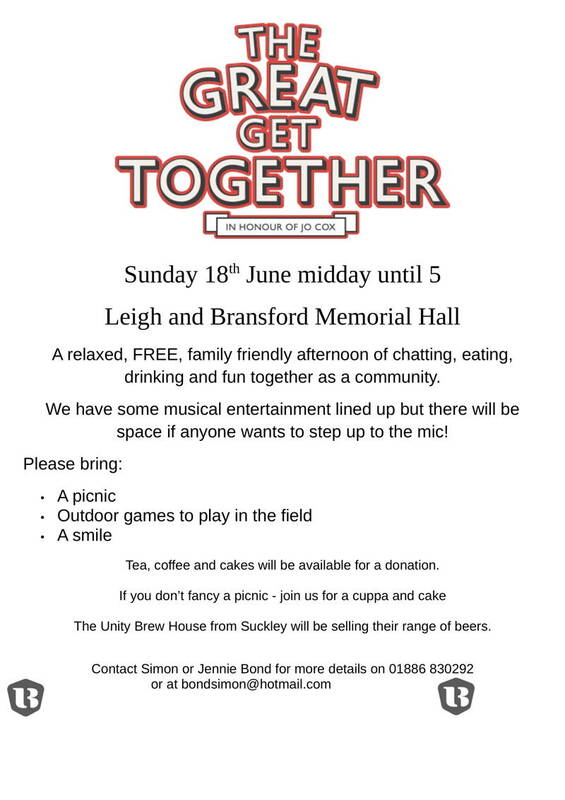 Simon and Jennie Bond's local Great Get Together event, in honour of Jo Cox, took place on Sunday 18th June 2017, 12 noon until 5pm at Leigh and Bransford Memorial Hall. The Community Choir opened the afternoon's entertainment, singing from 1-1.30pm, accompanied by Jennie Bond. This was the first time we had worked with Jennie, and we really enjoyed it. There's information about the Great Get Together events nationallly here. Click on the poster below for a souvenir printable PDF.